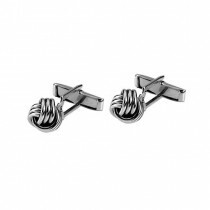 Quality classic and contemporary sterling silver jewellery by Tianguis Jackson. Exquisite Mexican silver jewellery with a contemporary edge. Save up to 40% off the retail price at Macintyres. Sterling silver ball neklace. Supplied in a Tianguis Jackson presentation box. A pair of sterling silver and copper double heart drop earrings. Post and scroll fitting. Supplied in a Tianguis Jackson presentation box. Sterling silver ring by Tianguis Jackson. Supplied in a Tianguis Jackson presentation box. Sterling silver diamond cut snake chain by Tianguis Jackson. Available in 16", 18" or 20". Please state length required when ordering. Sterling silver overlapping leaf ring. Supplied in a Tianguis Jackson presentation box. Sterling silver 3/4 rope design bangle by Tianguis Jackson. Supplied in a Tianguis Jackson presentation box. Heart stud earrings by Tianguis Jackson. Sterling silver. Supplied in a Tianguis Jackson presentation box. Sterling silver faceted stud earrings by Tianguis Jackson. Supplied in a Tianguis Jackson presentation box. Sterling silver irregular bangle by Tianguis Jackson. Supplied in a Tianguis Jackson presentation box. Sterling silver plain bangle with fancy clasp- by Tianguis Jackson. Supplied in a Tianguis Jackson presentation box.